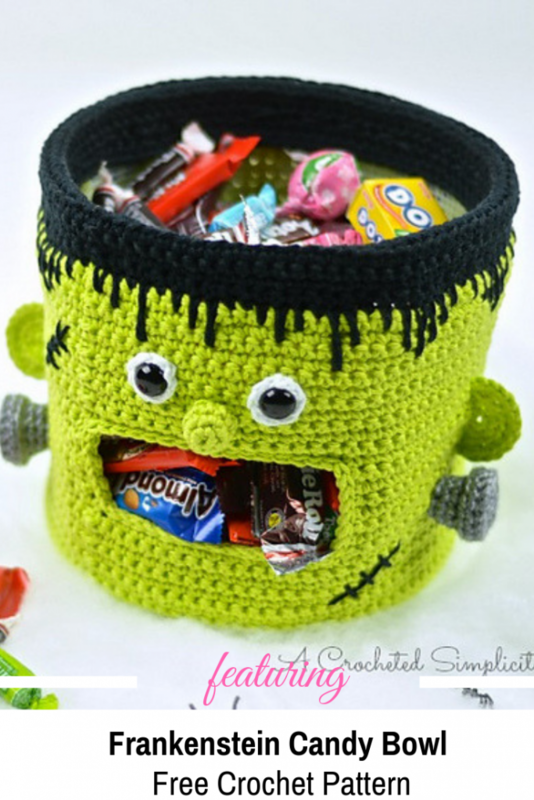 This spectacular Halloween candy bowl crochet pattern is one of a kind! The kids will adore this fun bowl and you’ll enjoy using it year after year. 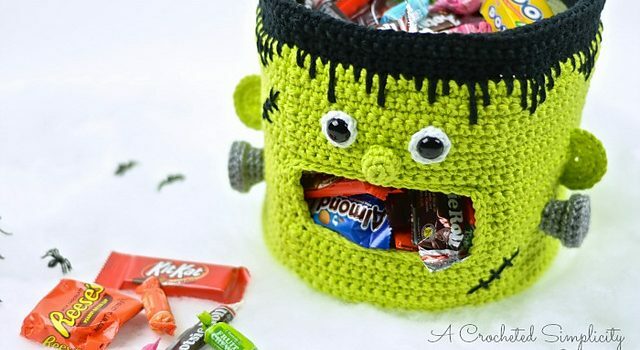 Frankenstein Candy Bowl by Jennifer Pionk is the perfect Halloween candy bowl for your sweet treats to trick-or-treaters. This crochet bowl is an easy way to make a big impact for your Halloween decor. [Free Pattern] You’ll Absolutely Love Making These Step-By-Step Crochet Socks… The Toe First Method Is Brilliant!